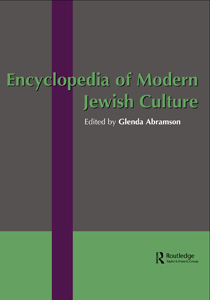 Entry by Rabbi Raymond Apple in the “Encyclopedia of Modern Jewish Culture”, Volume 1, Routledge, 2005. Jews have been in Australia from the first day of European settlement, January 26, 1788, when at least sixteen Jewish convicts arrived in Sydney Cove on the First Fleet. Over the years that convict transportation continued, about 1,000 Jews arrived as convicts, mostly young, English, and Ashkenazi. They included colorful figures ranging from Joseph Samuel, “the man they couldn’t hang,” to Esther Abrahams, who became the lieutenant-governor’s wife, Teddy “Jewboy” Davis, the bushranger, and Joseph Marcus, the former yeshiva student who visited Jewish prisoners and started sporadic Jewish services. However, when the now established congregation printed a report twenty-five years later, in 1845, Marcus rated no mention, and the report merely hinted that Jewish worship began after 1820 with the arrival of free settlers. The thought of its convict origins was embarrassing to a congregation bent on respectability. A free settler, Phillip Joseph Cohen, arrived in May 1828, with recommendations from the Chief Rabbi of London, Solomon Hirschel. Cohen began regular services in his house in George Street, Sydney, one of a number of makeshift synagogues used prior to the impressive York Street Synagogue, opened in 1844. Hirschel did not take much interest in the fledgling community, though he presided at religious divorces carried out on hulks in the Thames for Jews awaiting transportation to New South Wales. The first religious direction came from Rabbi Aaron Levy of the London Beth Din, sent out in 1830 to find a convict named “Long” Zangwill, whose wife in England desired a divorce. In Van Diemen’s Land (Tasmania) Judah Solomon, a former convict, donated part of his garden in Argyle Street, Hobart, for a synagogue. Built in the Egyptian style and consecrated in 1845, the Hobart Synagogue is still in use by a small but divided community. Other congregations established themselves in Victoria, always the most traditional of Australian communities; in South Australia; and, later, in Queensland and Western Australia. The nineteenth century saw the rise of a number of country communities, though in time most petered out, leaving only a cluster of graves in a cemetery and sometimes a synagogue that was sold and put to other purposes. One country community was Goulburn, whose members were so highly regarded that there was a saying, “As honest as a Goulburn Jew.” Outside the state capital cities, it is only in recent years that country communities have re-emerged. The original Australian Jews were mostly of German/Dutch extraction, but the gold rushes of the 1850s brought East European Jews. Later in the nineteenth century came refugees from East European pogroms; after the First World War, Jews from Poland and Palestine; in the late 1930s, refugees from Germany and Australia; and, after the Holocaust, large numbers of survivors. All brought new strength to the community, whose intermarriage rate had become as high as one-third. The new developments democratized the community, displacing the rule of the Anglo-Jewish patricians. Some establishment congregations still follow the Anglo-Jewish pattern, but there are now Chasidic and other Charedi groups on the right and liberal congregations on the left. In Melbourne and Sydney there are now emergent conservative congregations. The community has a democratic roof body, the Executive Council of Australian Jewry, together with state roof bodies. Major fundraising organizations include the United Israel Appeal and, in New South Wales, the Jewish Communal Appeal. The Jewish day school movement accounts for over 50 percent of the children of school age. Australia is still a growing community (after the Hungarian and Sephardi immigration in the 1950s came a significant influx of South African and Russian Jews, as well as Israelis). Australia is the tenth-largest Jewish community in the world, with over 100,000 Jews (about 50,000 in Melbourne, 40,000 in Sydney, and smaller numbers in other cities). There is a high level of Jewish communal commitment. Most members of the community are active supporters of Israel. Amongst young people Jewish knowledge and practice are increasing. Australia as a multicultural society is tolerant of cultural diversity and there has historically been little serious anti-Semitism, though attacks on synagogues and Jewish individuals have increased since the Gulf War in 1991; it is not certain who is responsible. Australian Jews have played a major role in public life. In the First World War the head of the Australian forces was a Jew, Sir John Monash, who was the first president of the Zionist Federation. Sir Isaac Isaacs was chief justice and subsequently governor-general. Sir Zelman Cowen, a Jewish law professor, also served as governor-general. Leading Jewish parliamentarians have included Sydney D Einfeld and Sir Asher Joel. Jewish names are prominent in commerce, industry, law, medicine, and the arts.